First things first… what is your motivation? Why do you want to become a doomsday prepper, and do you have practical, mainstream prepping already under your belt? If the answer to these questions is you are looking to improve your self-sufficiency, then you are already on track. If that wasn’t your answer, then you probably should take a step back and start from the beginning. Basic, practical preparedness is the foundation for all prepping– no matter how far you are willing to take it. Did the popular TV show “Doomsday Preppers” get you to this point? That may be another red flag. The show was presented from a biased view in order to sensationalize preparedness idiosyncrasies. Sure, the show was entertaining as could be- but you need to keep in mind that the featured preppers are far from the norm- especially when considering practical applications. We certainly do not discount their intent- but the execution for many featured in the show was poorly planned and even comedic at times. 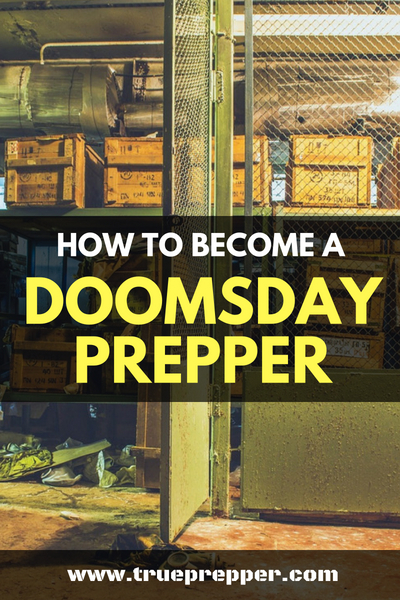 To step your prepping up from a practical level to a doomsday prepper level, you need to consider doomsday scenarios. Furthering your risk analysis into lower probability events (such as doomsday events) can help you identify what you need to look at. The last point here is maybe one of the most important points we can make. We cannot predict everything that could possibly happen, so preparing for the unknown makes sense. From aliens to the Rapture, do not confuse highly improbable with impossible. Shelter – you need to drastically improve your security and survivability in any scenario. Bunkers (ex: buried containers) are the go-to solution for this, since they do a good job with security, radiation shielding, etc. Your bunker needs to be large enough to store your supplies, fitted with an air filtration system, and have a renewable water source- just to name a few requirements. It should be comfortable enough to survive in for several years, if not longer. Food – long-term food storage is good and well, but you need a renewable source. You should have food storage figured out from practical prepping, but you need to drastically increase your storage for a doomsday event. Many turn to farming rabbits or other small animals as a sustainable food source, but that can snowball into more prepping issues feeding the rabbits and disposing of waste. Water – We touched on this with shelter, but a well and a backup water source (such as a recycler) are needed to weather an apocalyptic event. Jugs of water, a bathtub, or even a rain collection system will not be enough. Security – Some preppers opt to go the ‘no-gun’ route when practically prepping. While this is questionable for some of the more common events, it is an especially dangerous proposition when it comes to TEOTWAKI events. Ammo supply is key, so your stock should be bolstered to improve survivability on a longer timeline. Knowledge – All of these tips are just the tip of the iceberg. You need to acquire much more knowledge and know-how than you currently have as a practical prepper. In a TEOTWAWKI scenario, knowledge is worth quite a bit and can even be barterable. Learn up on ideas and practical skills that could easily be lost. 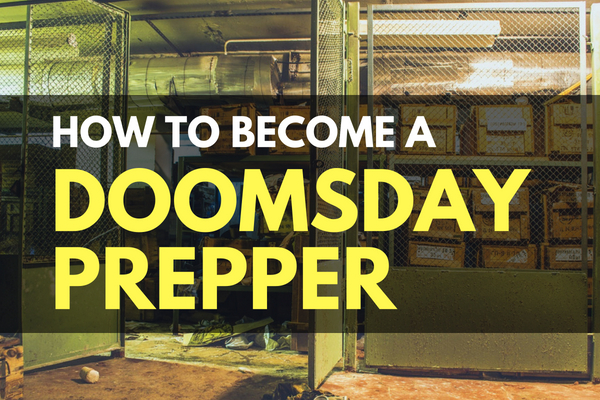 Getting geared up for doomsday events is like the capstone project of prepping. Once you have accomplished everything else and are prepared to be self-sufficient, preparing for the absolute worst makes sense. Doomsday preppers are on the fringe of prepping for good reason- and it is not just public perception. It changes your lifestyle, affects your resources, and can even consume you if you are not careful. Stay grounded in practicality and remember all of the reasons why you prep in the first place: family, friends, country and God. Keep exploring, stay prepared, and be safe.